Filmmaker Rohit Shetty, whose film Simmba starring Ranveer Singh and Sara Ali Khan is doing phenomenal business at the box office, hosted a special screening of the film in Mumbai on Wednesday. 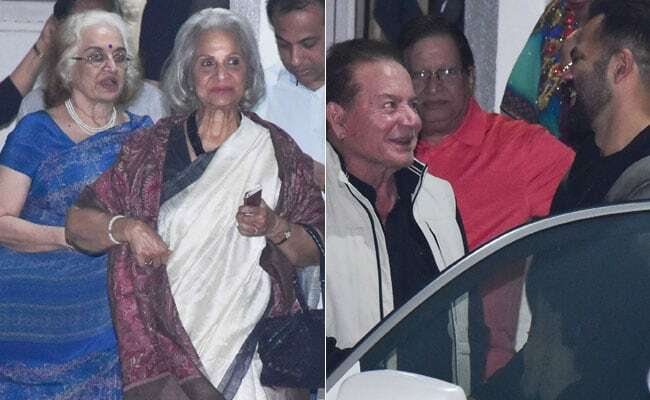 The special screening was attended by actor-producer Salim Khan, his wife Salma and actress Helen. Veteran actresses Asha Parekh and Waheeda Rehman also attended the special screening of the film. Salim Kahn arrived with Salma Khan and director Rohit Shetty was photographed greeting the couple. Waheeda Rehman arrived with Asha Parekh for Simmba screening. Simmba, which hit the screens last Friday, has cruised past the Rs 100 crore mark in just five days.